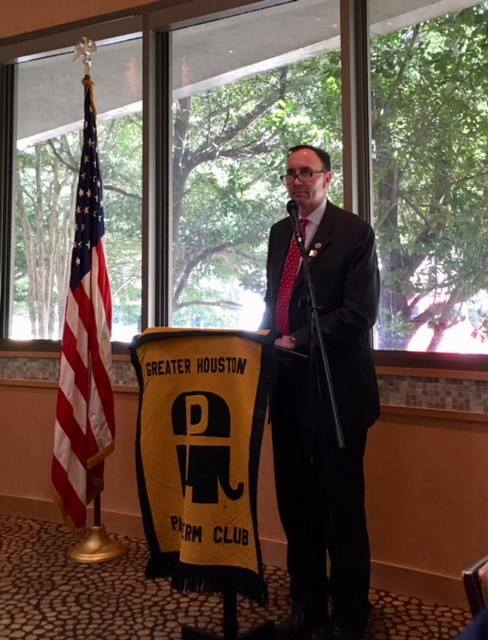 U.S. Representative Pete Olson (R-TX) at an event with The Greater Houston Pachyderm Club. “We have a lot of professional-class areas. I think it’s ethnically diverse, but conservative. I mean, it sort of represents the state of Texas very well,” says Scott Bowen, a Republican precinct chair in Clear Lake, near the eastern tip of the 22nd. The district includes suburban neighborhoods in Harris and Brazoria counties, along with most of Fort Bend County. Bowen has lived in the district since incumbent Congressman Pete Olson first ran for office a decade ago. 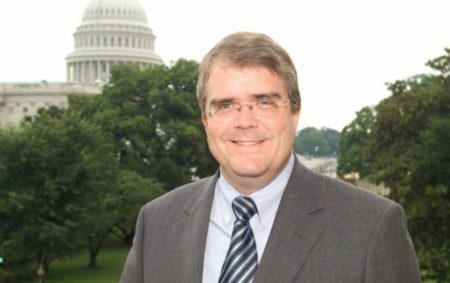 “I don’t think Pete Olson has really had meaningful opposition from the Democrats’ side,” Bowen says. Since beating his Democratic predecessor, Nick Lampson, Olson has won reelection by double digits every time. Before Lampson won the district in 2006, Republicans held it without interruption for 30 years. But Jay Aiyer, who teaches political science at Texas Southern University, thinks 2018 could be different. “The swing in the district has been and would largely be considered the Asian-American community,” Aiyer says. The 22nd has the highest concentration of Asian-Americans of any congressional district in Texas. They comprise a diverse group: Indian-Americans, Chinese-Americans, Vietnamese-Americans, and many others. 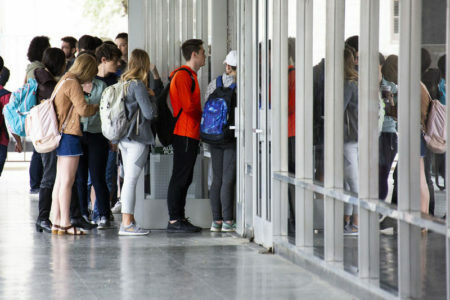 On the whole, they tend to be better educated and more affluent than the average voter. “Asian-Americans in the district, particularly because of income reasons, had voted in the past for Republicans,” Aiyer says. But the GOP’s hard-right stance on immigration and its protectionist shift on trade has alienated many of those traditionally Republican voters. That’s provided an opening for the Democratic candidate: Sri Preston Kulkarni. 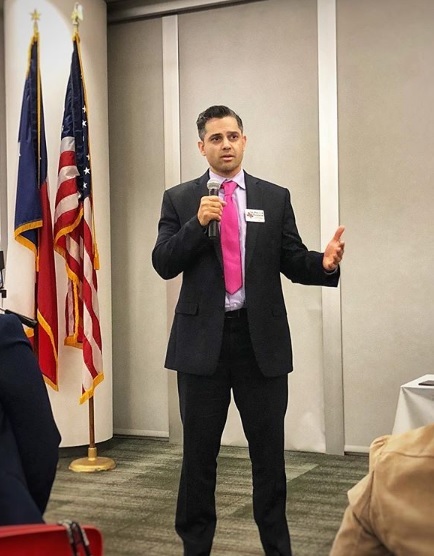 Sri Preston Kulkarni is running as a Democrat to represent the Texas 22nd Congressional District in the U.S. House of Representatives. Kulkarni is fluent in Hindi and Mandarin Chinese, as well as Spanish. He’s been campaigning in those languages to reach native speakers in ways Pete Olson can’t. 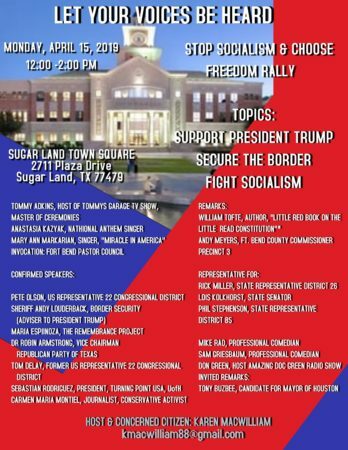 “If you look at Fort Bend County, I see many Asians, they can’t even run in the Republican side,” says Shapnik Khan, a Democratic precinct chair from Katy. Born in Bangladesh, Khan is a naturalized U.S. citizen. He’s been active in Fort Bend politics for the past decade. “But who is giving you that opportunity? It’s the Democratic Party. And the Asian-Americans need to understand who is giving us the better platform,” Khan says. Kulkarni is one of six Asian-American candidates on the ballot in Fort Bend this November, all of them Democrats. 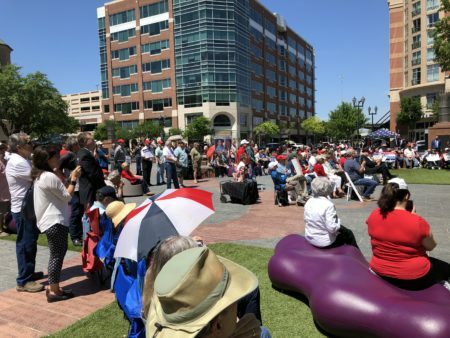 But even if Asian-Americans vote Democratic en masse, they only represent a fifth of the district’s population, according to the U.S. Census Bureau. To win, Kulkarni also needs to mobilize Latinos, African-Americans, and a lot more voters like Mark Evans. Evans moved to the Houston-area from Indiana more than 30 years ago. He’s right in Pete Olson’s target demographic. He’s white, married, and he’s voted Republican in the past. Evans says he plans to vote for Kulkarni, in no small part because of Olson’s spending habits in Congress. But spending is also one of Olson’s biggest strengths. The Republican congressman is sitting on a campaign war chest more than double what Kulkarni has. How Olson uses that money in the coming weeks could make all the difference.